That would be Ms. Suzanne Collins. She authored the wildly popular teen series that has taken the nation by storm. Suzanne Collins has enjoyed much success recently with both the bestselling trilogy and the recent Hunger Games movie adaptation. What is the Hunger Games About? The Hunger Games is set in a post-apocalyptic society. Twelve Districts surround the all-powerful Capital, who controls the subjugated people of the Districts. In memory of the rebellion that took place 74 years before the setting for the series, the Capital host the annual Hunger Games. A boy and a girl are selected from each District, and are pitted against one another in a televised Deathmatch. This is to remind the people of their rebellion long ago. A young teenage girl, Katniss, nobly volunteers to participate when her sister is selected for the Games. I don't want to run the rest of the plot if you have no read the books yet. She reports that she got the idea for the books from the Legend of Theseus and the Minotaur, the legendary Greek tale of the Labyrinth! 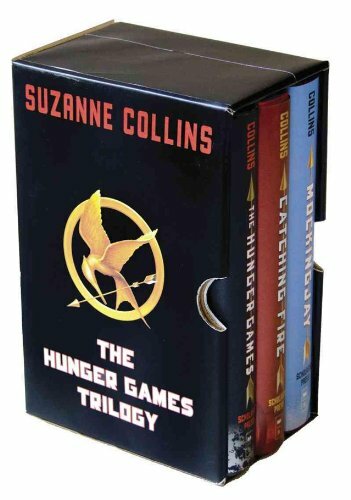 While she is known mostly for the Hunger Games, Suzanne also has another popular teen series she wrote prior to the Hunger Games trilogy. The Underland Chronicles features Gregor, the antagonist in her first book, Gregor the Overlander. The series follows the trials and adventures of the young boy Gregor, who discovers a secret Underworld beneath reality when he follows his sister through a crate in their house. 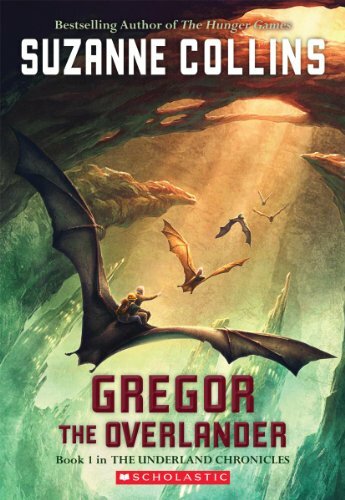 Gregor discovers that humans are not alone, and the Underworld is filled with giant creatures. Gregor must find the courage to do battle with an army of giant rats! Suzanne reports that she got the idea one day sitting around thinking about Alice and Wonderland, and how Alice discovered a hidden world chasing the rabbit down the hole. Suzanne Collins found further success, when her first book in the trilogy was adapted to a Hollywood blockbuster. The film features Jennifer Lawerence as Katniss, Josh Hutcherson as Peeta, and Woody Harrelson as Haymitch Abernathy. The Hunger Games Movie did very well in the box office, grossing $407,999,255! Suzanne Collins, author of the Hunger Games, has been immensely successful since 2009. She is an accomplished writer, whose works as filled with intriguing social issues. Hopefully, we will have more series like the Hunger Games in the future. I didn't realize she wrote other books. Thanks.